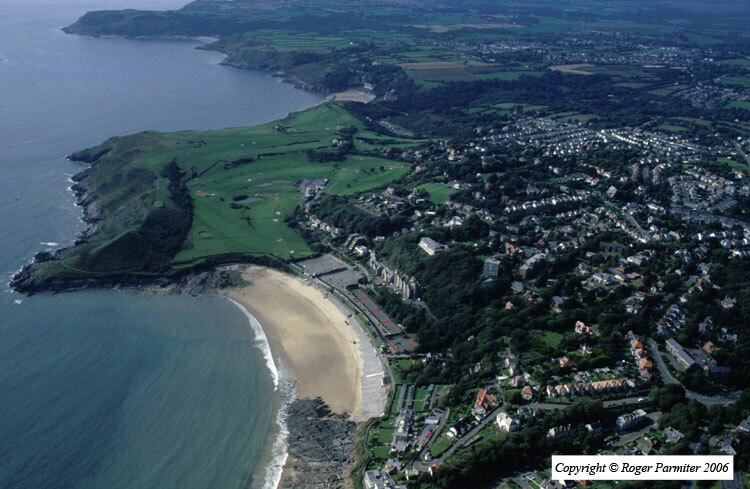 The historic landscape area of Langland Bay is bounded by the limits of enclosed land, cliff edge and lies between the mean high and mean low water marks depicted on 1:10000 OS map and is situated between the rocky cliffs of Rotherslade and Newton. No archaeological evidence has yet been recorded in the area. It is probable that the area was used for coastal trade, and fishing since the prehistoric period, but direct evidence is presently unavailable. Again the area may have been used for the export of limestone and lime products during the nineteenth century with limekilns and quarries noted slightly inland of the coast. A number of shipwrecks can be found in the surrounding waters, notably the SS Tyne, which sank in 1919. This vessel of 2,909 tons, built by R Napier and sons for the Royal Mail Steam Packet Company in 1900, was bound from London for Santos, when it collided with the French Schooner Fleur de Mer, outward bound from Cardiff, the latter was cut in two. The Tyne ran aground at Langland after picking up survivors, but was later refloated and towed to Swansea for repairs. Another was the ketch Leonora; this was beached in Langland in 1913 also following a collision, this time with a tug, the Atlas (Edmunds 1979). During the mid-19th century wealthy middle class families, such as, the Crawshays, the industrialist dynasty developed the coastal fringe in this area for their villas. Today the area has taken on an increasing role in tourism and the area is bordered by beachfront development of summer chalets, hotels tennis courts and car parks. This bay is a popular spot for locals and tourists to enjoy recreational activities.